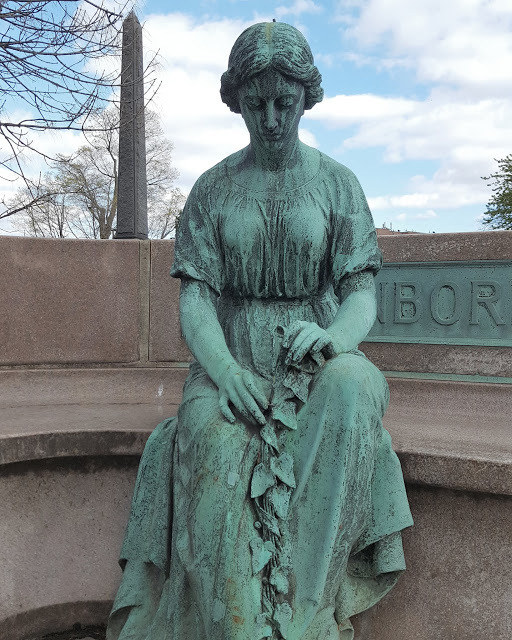 Green-Wood Cemetery's Stubenbord-Sutherland monument features a seated mourning figure holding a sprig of ivy. The granite monument is rose-colored and semi-circle in design. The Sutherland family was active in Brooklyn politics, while the Stubenbords owned a popular Coney Island hotel.